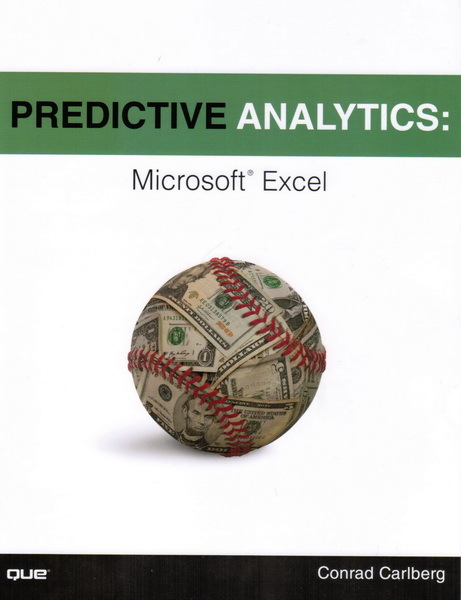 "Conrad Carlberg is my favorite author on using Excel to analyze statistics." Milo Schield, Director of the W. M. Keck Statistical Literacy Project. Conrad Carlberg (www.conradcarlberg.com) is a nationally recognized expert on quantitative analysis, and on data analysis and management applications such as Microsoft Excel, SAS and Oracle. He holds a Ph.D. in statistics from the University of Colorado and is a many-time recipient of Microsoft's Excel MVP designation. In 1995 he started a small consulting business which provides design and analysis services to companies that want to guide their business decisions by means of quantitative analysis - approaches that today we group under the term "analytics." He enjoys writing about those techniques and, in particular, how to carry them out using the world's most popular numeric analysis application, Microsoft Excel. 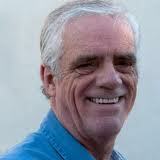 Carlberg and his wife live near San Diego with their two cats. Use Excel 2010’s powerful statistical tools to gain a deeper understanding of your data, make more accurate and reliable inferences, and solve problems in fields ranging from business to health sciences. Top Excel guru Conrad Carlberg shows how to use Excel 2010 to perform the core statistical tasks every business professional, student, and researcher should master. 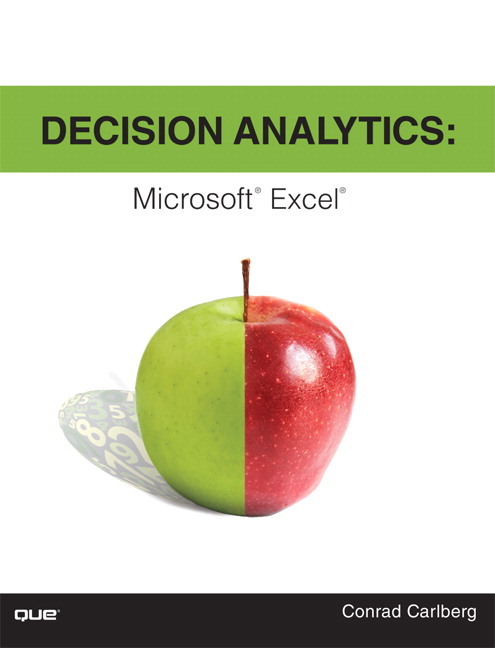 Using real-world examples, Carlberg helps you choose the right technique for each problem and get the most out of Excel’s statistical features, including its new consistency functions. Along the way, you discover the most effective ways to use correlation and regression and analysis of variance and covariance. You see how to use Excel to test statistical hypotheses using the normal, binomial, t and F distributions. 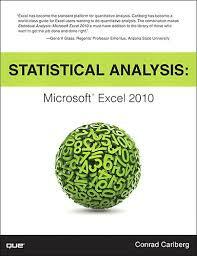 Becoming an expert with Excel statistics has never been easier! You’ll find crystal-clear instructions, insider insights, and complete step-by-step projects—all complemented by an extensive set of web-based resources. 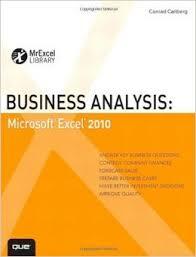 There is an Excel workbook for each chapter, and each worksheet is keyed to one of the book's figures. You'll also find additional material, such as a chart that demonstrates how statistical power shifts as you manipulate sample size, mean differences, alpha and directionality. To access these free files, please visit http://www.quepublishing.com/title/0789747200 and click the Downloads Tab.